How to Add PDF Printer and Convert Anything to PDF? It is useful sometimes to install virtual PDF printer on your computer. This software will help when you want to convert ANYTHING to a PDF – an image, what your screen shows, html website, and others. 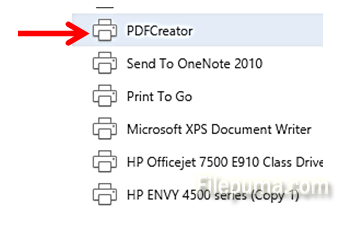 While there are some embedded ways to make PDF in Word for example, the best tool we can recommend for converting ANYTING to PDF is free to download and install and it is called “PDFCreator”. In this way, you can virtually print a PDF out of anything on your screen.